From small home cleanups to large scale construction projects, we have rentals in the Roswell, GA area for any job. We are ready to answer any questions or concerns. Once you are finish loading the bin with debris, call us and we will promptly pick it up. Discount Dumpster services the majority of Atlanta and surrounding cities. Why delay? You can rent a dumpster today for all clean outs, remodels and landscaping. Customer service reps are trained in providing the service you deserve. 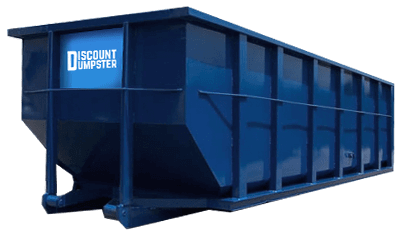 Discount Dumpster offers 10 to 40 cubic yard containers for your waste removal needs. 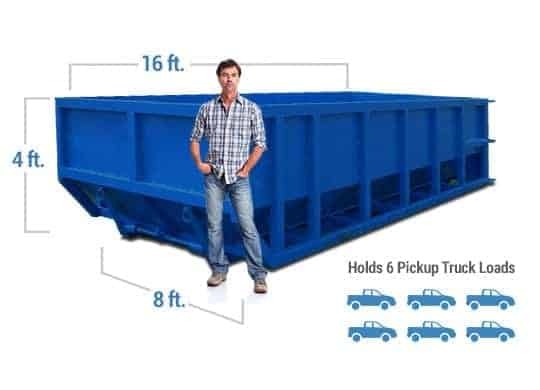 Our bin sizes ensure you will get the project finished no matter how big or small. Great for full room remodeling projects and renovations. Also good for your “spring cleaning” projects and getting rid of debris collecting in the attic. The size allows for easy disposal of household and light construction debris. Useful for roofing as well as interior and exterior remodeling projects. Other great uses for the container include removing debris from small scale demolitions and getting rid of the junk hoarding in the garage. The 30 yard is very common for customers that have large scale construction projects. As such the container is ideal for all large-scale clean outs. The bin is also great for all home renovations or multiple remodels. Our 40 yard container is ideal for large scale building renovations. Likewise, the roll off is perfect for contractors with large scale projects As our largest sized container, it is ideal for disposing of several tons of debris at once. No matter what kind of debris life throws your way, our company is here to help you clean it up. Call us today and we will work to find to the right size container for your project. Simply let us know how much clutter you want to get rid of and our customer service reps will be happy to set you up with the container you need. A lot of factors determine the pricing of a roll off rental. These include fuel and disposal fees. As such we combine all fees into the rental so that there are no surprises later. The pricing includes delivery, pickup, disposal, and rental duration. In a real sense we keep the pricing simple so that it makes sense! We believe renting a dumpster in Roswell should be simplified. Give us a call today our customer service reps will walk you through the entire process. We can answer any question or concern you may have. 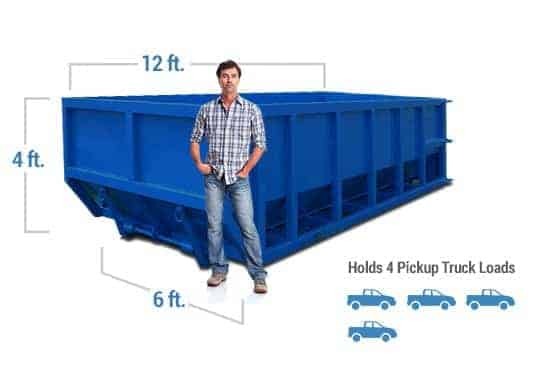 Whether you need help choosing a bin size, would like to know where the container will be place, or how to prepare for delivery and pickup, we are happy to answer your questions.